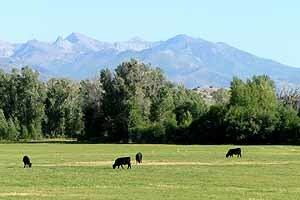 I’m getting to really, really like Elko. Anyone who reads the NevadaGram knows that I’ve really liked Elko for a long time, but now it’s really really. It’s city enough to have a Home Depot, an Office Max and a Starbucks, and small town enough to have a downtown where people shop in locally-owned stores and conduct business in the professional offices upstairs. There are excellent places to eat and to stay, and the surrounding countryside is rhapsodically beautiful. Even if you don’t get up into the mighty Ruby Mountains (and you should), they shine down on Elko from amongst the clouds, and provide a majestic backdrop to every (south-facing) scene. On the way to Jiggs. 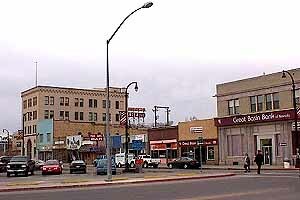 On my most recent visit the little city was roiling with life. The Elko County Fair was in full swing, and the nighttime crowd at the saloon downstairs was in full swig. But I was in a meditative mood and seeking serenity, and so on a Saturday afternoon I drove south over the big brown shoulder of the Elko Hills into the suburb of Spring Creek, and then down along the west side of the Rubies to Jiggs. Harry and Isabel run the Jiggs Bar now. That’s an albino porcupine in the glass case, not a bonsai polar bear. Harry is behind the bar at the Jiggs Bar now and has been for many years, but back in the 1960s the place belonged to Andy Echevarietta, who’d come into the country as a young sheepherder from the Basque region of Spain. On a bitter cold winter’s night in 1962 Andy was murdered here, shot and left to die behind the bar for the money in the till. A customer named George Davis was shot and killed too, just for being there. I wrote the story called Andy & The Snake for Westways Magazine; to see it, click here. And now for something completely different, we’re going to find a faint trace of Nevada in the deep south. . . . In June Robin and I flew east to BWI, rented a car and drove down through Virginia and halfway through North Carolina for son John and his Katie’s wedding. It turns out there are some big differences between traveling in Nevada and traveling in the South. For one thing, in Nevada you can see forever; down south you can’t see anything because the trees are in the way. Old Petersburg is still very much a civil war city. blue. People tell me that it turns blue here too but we saw a series of exquisitely shifting watercolors, soppy wads of color-tinged gauze floating in air so hot and humid it made Robin’s hair curl. In Nevada you can drive 25 miles out of town and leave civilization behind. In this part of the world you could drive forever and never get away. And there is the Civil War. Highways are punctuated with hundreds of historical markers offering information on the bloody events that took place here in the 1860s (most with no safe place to pull off and read them). At one Virginia museum there were statistics indicating that slightly more than a thousand Nevadans were actively engaged in the conflict, with 33 killed. These are by far the lowest numbers among the 35/36 states (Nevada was admitted to the Union October 31, 1864) in existence at the time. Clearly we were far removed from the national cataclysm and spared the sorrow and misery suffered by so many Americans. After the initial shock of the explosion, most of the onrushing Union troops became bogged down in the crater instead of circling around it. The southern soldiers rallied to take back their positions and deliver a decisive defeat. 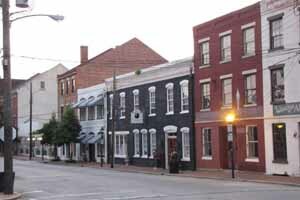 Virginia and stayed two nights there so as to use it as a base of exploration. 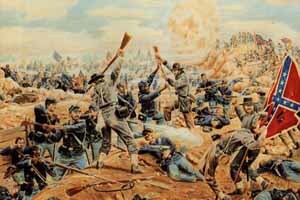 Twenty-five miles south of Richmond, this small city has some big history; it was subjected to the longest siege of the Civil War, nearly a year, and was the site of one of its ghastliest episodes: the Battle of the Crater. This unhappy event has a curious Nevada connection. In the course of the siege of Petersburg the Confederate defenders had created an elaborate system of trenches around the city. In July, 1864, a contingent of Pennsylvania coal miners dug a tunnel from behind a small hill to undermine the rebel line, and packed it with four tons of gunpowder. Early on the morning of July 30 they exploded it. Into the resulting crater rushed three divisions of Burnside’s IX Corps, led by General James H. Ledlie‘s 1st Division — but without Ledlie, who was drinking whiskey behind the lines with General Ferraro and who, at the decisive moment, declined to put down the bottle and lead the attack, just as he had neglected to brief or train his soldiers for it. The attack was a fiasco. 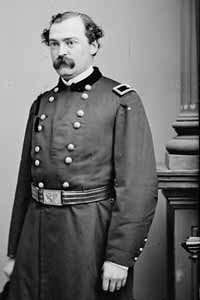 Grant called it the saddest event of the war, and Ledlie was sent home to await further orders, which never came. Don’t forget, you’re invited to Edna Purviance’s 115th Birthday Party at the Martin Hotel, Winnemucca on Saturday, October 23. Please e-mail for complete details. half mile when the deadline passed. Disaster approached closer with each tick of the clock, and then some nameless genius revealed a solution. I say nameless because Oscar Lewis, who tells the story in “The Town That Died Laughing”, simply says it was the mayor, and I’m too lazy to look it up. Whoever he was, he supposedly persuaded the city council to prepare their little city for the affluence and growth the railroad would provide by enlarging its boundaries a half mile to the north. Voila! The deadline was met, the subsidy was paid, Austin got its railroad, all was glee and gladness, and Ledlie was a hero! This is NCRR Engine No. 2 at Battle Mountain. The locomotive named for Ledlie was No. 5. One of the NCRR locomotives, a Balwin 4-4-0 built in 1876, was named the J.H.Ledlie, and was still in service when the line went bankrupt and ceased operations in 1938. An NCRR siding was named in his honor too, but the little dot on the Nevada map named Ledlie is long-abandoned and hard to find on the ground. In that same autumn of 1879 ex-President Grant was returning via San Francisco from an around-the-world tour with his wife and son. On their way home they visited Glenbrook, Carson City, Sutro, Virginia City and Reno where they boarded an east-bound train. 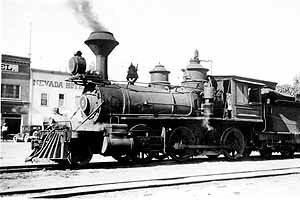 Battle Mountain was the northern terminus of the Nevada Central RR, and Ledlie was in town when Grant’s train paused to let passengers on and off that day. Ledlie must have known that his old commander’s train was coming through. Was he watching from his hotel room window until the train chuffed away toward Palisade? And was there a whiskey bottle on the dresser — he had been a notorious drinker; was he still? Hey, wait a minute, here we are on the brink of a famous Civil War battleground in the green Virginia woods — how did we get to a hotel room in Battle Mountain? Well, I told you we’d trip over a Nevada connection. shaded by great trees. Whereas on that day the landscape was torn to shreds, burnt and blasted bare, and the ragged, smoking hole was crowded with the dead. Our destination was a few miles north of Fayetteville, North Carolina, which is best-known as the site of Fort Bragg, a major Army base since World War II. The city’s 19th century Main Street, shaded by recently planted trees, is a gauntlet of old storefronts intact, awaiting revisualizing, restoring and reviving once again, having gone through the process twice already, in 1885 and 1960. Some new businesses are already open, including a fabulous men’s clothing store where I’ll do some shopping next time we visit. John calls it the zoot suit store, but the styles aren’t really that extreme, they’re just so purely Southern they seem that way. Our route back north took us to Monticello, Thomas Jefferson’s brilliantly conceived and beautifully executed little palace overlooking his estate. Apart from the wedding itself, this was the highlight of our trip. I tried to explain FaceBook to Tom, but he didn’t seem to get it. It’s one thing to read in a book that Jefferson was a genius, and quite another to stand within the universe he built for himself and his family, and to experience it directly. His boots stand by the door, there is correspondence awaiting reply on his desk. He might be upstairs with the grandchildren. Monticello itself is unforgettable. It is inspiring, both as an artifact and as a touchstone connecting us with an earlier America. The house and grounds have been painstakingly restored and are skillfully presented by knowledgeable guides. It was a wonderful experience. In the course of our tour we encountered a ginko tree, one of many varieties planted by Jefferson (and referred to as his “pet trees”). Beneath it was a scatter of seeds, or nuts, or whatever they’re called. We collected six of them, and will attempt to propagate them back home in Gold Hill. My research says they’re suited to our climate, so they should do better than the banana and the avocado I’ve been unsuccessful with so far. But those delicate critters are greenhouse-dwellers and the ginko can make it outside, it says here. 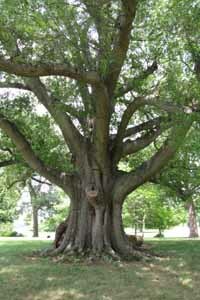 How cool would it be to have a scion from a tree at Monticello? Quick notes from beyond the mountains: Construction of the Hoover Dam Bypass remains on schedule for opening to traffic in November. Visit the Hoover Dam Bypass website for project history and construction photos . . .
by an adult. 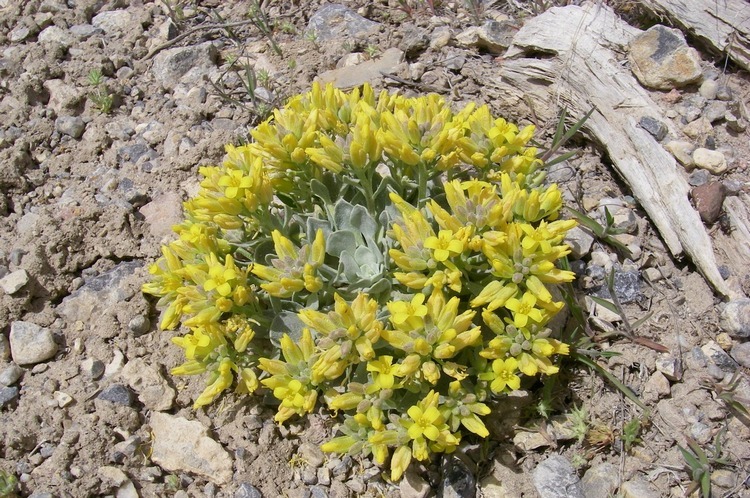 . . Spring Mountain Ranch State Park, 15 miles west of Las Vegas via Charleston Boulevard within the Red Rock National Conservation Area has two events scheduled in September. On the 18th you can meet the previous historic ranch owners during OwnerÕs Day. First-person interpreters will give tours of the historic buildings they once called home from noon until 4 pm. The 25th is Pioneer Day; from 10 until 4 you can enjoy live music, spinning and weaving demonstrations, gold panning, black powder rifle shooting and candle dipping, along with authentic Dutch-oven cooking. This nostalgic experience for adults and children is free to the public, but park entrance fees apply ($7 for Nevada residents and $9 for non-residents) . . .The Goldwell Open Air Museum is inaugurating the Gathering of Desert Photographers October 14-17, a 3-day event that brings together photographers, curators and writers with an interest in the desert. 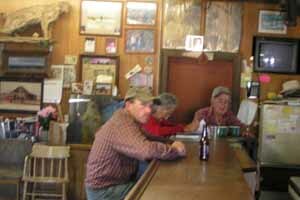 The Museum is well situated between the famed ghost town of Rhyolite and the town of Beatty. Details here. The Pyramid Lake Paiute Tribewill hold the 2nd Annual Pyramid Lake $50,000 Cutthroat Challenge on Saturday and Sunday, October 2nd and 3rd to mark the opening weekend of fishing season at the lake. The Tribe invites fishermen of all ages and skill levels to register. A total of 25 Cutthroat Trout will be tagged, with 5 fish being randomly tagged and worth $10,000 each. The remaining 20 tagged fish may be redeemed for other prizes. Cost is $65 and participants will be limited to the first 500 fishermen registered. Get complete details and register online at www.pyramidlake.us or by phone at 1-888-225-2668. And by the way, Carson City has a great collection of coupons on their website offering some great discounts: from 50% off to 2-for-1 on dining out; $25 and 2-for-1 green fees for golf; $25 in free slot play and generous discounts for lodging . . . The Western Folklife Center in Elko has installed three new exhibitions in its Wiegand Gallery: a photographic exhibit of ranch gates in the Southwest; a tribute to renowned western artist and author Will James and “Where the Cowboys Once Roamed”, an exhibition of black and white panoramic images created by Eureka, Nevada, photographer Deon Reynolds using a Kodak Fun Saver Panoramic 35 disposable camera re-loaded with black and white 35 mm film and developed in his darkroom in the Eureka Gallery on Main Street in Eureka. It had escaped my attention until now that Carson City and Dayton combine to be an “official” Nevada whitewater destination. 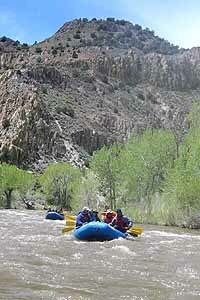 The area’s first rafting and kayaking facilities embrace a frisky stretch of the Carson River. Rafting through the Carson River Canyon. Class III whitewater downstream to Santa Maria Ranch River Park on the west end of Dayton. Signs advise boaters of rapids and where to take out of the river, and the magnificent river canyon provides views of historic gold and silver mill sites once flourished, stone walls that Chinese laborers crafted more than a century ago to shore up mountain mining roads. Preparations have been made for the V&T Railroad to be extended through the canyon to a permanent terminal. New facilities are also in place at the take-out area. Boaters can also go into the river further upstream at Carson River Park with a placid 3.3-mile Class I stretch of river that takes about 1.5 hours to float downstream to Morgan Mill Road and is suitable for beginners. The energetic float from Morgan Mill to Dayton is for experienced boaters and takes about two and a half hours.